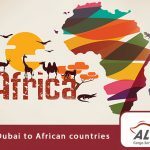 Al Fares cargo offers shipping services from Dubai to Ukraine and Georgia, which are one of the main destinations of the company as well as shipping from the UAE to Romania, in addition to shipping from Ukraine to Dubai and the United Arab Emirates. At Al Fares Cargo, we strive to provide our customers with professional services that meet their logistics needs through quality services and attention to detail in shipping process from the UAE to Ukraine and Georgia, whether through air freight or sea freight. Al Fares cargo services and clearance provides regular shipping from Jebel Ali Port in Dubai to most ports in Ukraine, Georgia, Romania and vice versa, through various types and sizes of freight containers (20 feet, 40 feet), through several international shipping lines, in addition to the partial shipping service, where the shipments are assembled and shipped in a common container to reduce the shipping costs on the customer. Whatever the shipment is, Al Fares cargo follows the pick-up process from the source, entry procedures to the port of departure, and up till the port of arrival. Customers often wish to have their shipments arrive on time and within a fast schedule. Al Fares cargo provides fast and convenient air freight services from Dubai and UAE cities to Ukraine, Georgia and Romania. This service ensures the arrival and receipt of shipments through most airports in Ukraine, Kiev and Odessa, as well as the airports of Georgia, Tbilisi, Batumi, Bucharest and others, Where Al Fares cargo crew receive the shipments and pack them to start the shipping process as requested by the client, in addition to processing papers and documents necessary for import and customs clearance. Al-Fares Cargo Shipping Strategy in air freight is based on the fact that the first flight to the destination country is carried out correctly and safely, and it’s one of the reasons that makes our customers satisfied with our services. 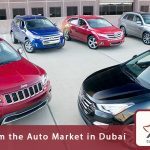 Extensive experience in car shipping service from UAE to Ukraine, Georgia and Romania. 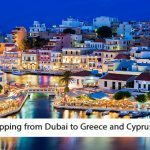 Home furniture and personal items shipping service with packaging from Dubai and UAE to Ukraine, Georgia and Romania. Providing all logistic solutions for our customers’ needs and facilitating the import of their goods and orders from Ukraine, Georgia and Romania to Dubai, UAE and the Gulf States. Speed and flexibility in the completion of shipment procedures from receiving to delivery. Fast shipping service / express cargo. AlFares cargo provides temporary storage services in their warehouses. AlFares Cargo Services adopts a policy of competitive prices in international trading that reduces the costs of shipping and import on the customer, in addition to providing necessary advice and recommendations regarding import and customs clearance process. For any inquiries about shipping services from Dubai and UAE to Ukraine and Georgia, please do not hesitate to contact our customer service at Al Fares cargo.